When it comes to hams making their own kind of music, one has to think of Don Huff, W6JL, who notes on his QRZ page that people who make things are happier than those who buy them. 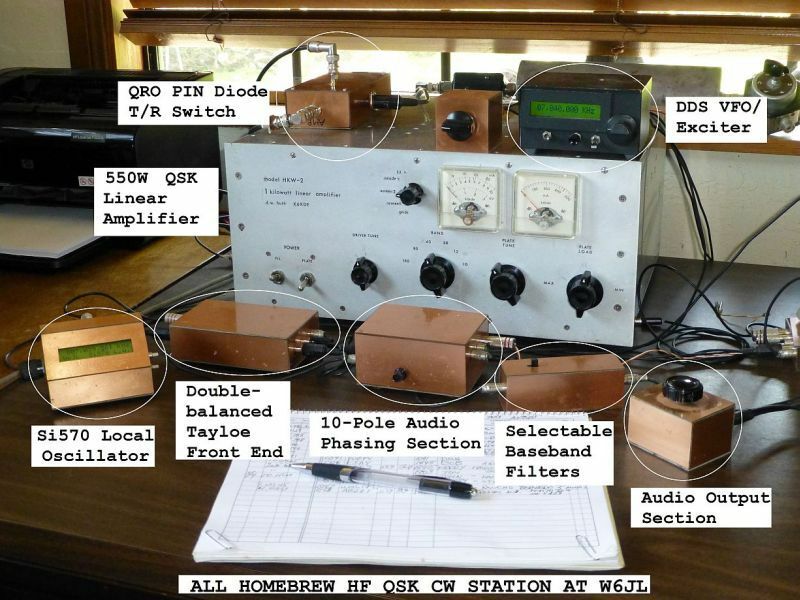 Don operates a completely modular home-brew HF station and power amplifier that is continuously variable in output power from 50 mw to 550 watts. Don loves to rag chew and share, and this is why he is Eric, 4Z1UG’s guest on QSO Today. Don Huff must have been one of better engineers at HP. Do you remember when HP published periodic technical notes about its new products? These were academic-level articles written so that customers could read them. All the inventive features, superior performance... all put on display. In the days before it degenerated into a printer company. So sad. High level engineering comes through Don's modest talk, and I learned about the Tayloe Detector for the first time - thank you! Another great interview filled with lots of homebrew wisdom and inspiration from W6JL. Thanks Don! Thanks Eric! Where does one find this crew of not old fogie homebrewers? Enjoyable interview. Partly as the result of a CW QSO I had with Don some time ago, I'm now building my version of an all hardware phasing receiver. Hey, the S20R was my third receiver, after the S119 and S120. Josiah - I try to get home brewers on the podcast from time to time. Stay tuned for Ashhar Farhan on April 2nd. He home brews everything. Look at the show notes pages links to his resources. Also check out the "Soldersmoke Podcast". Listen to Episodes 50 and 60 with Bill Meara and Pete Juliano.